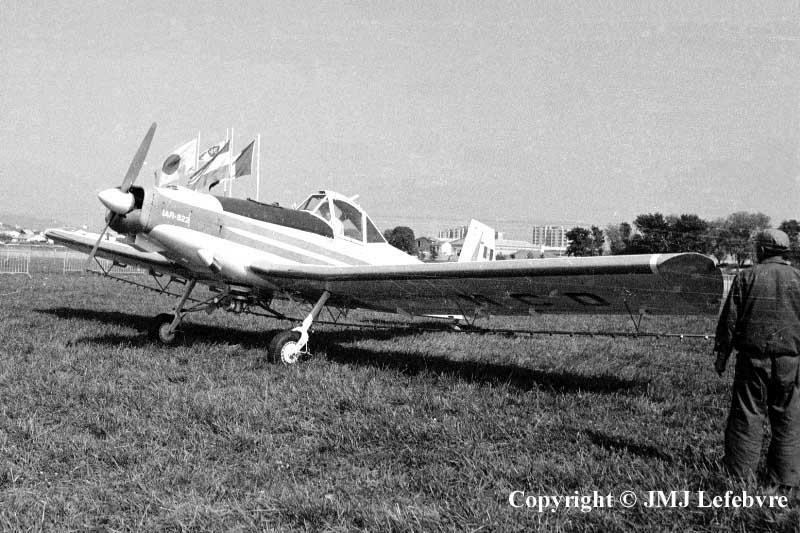 No coment for the next three pictures of the Romanian IAR-822 agricultural aircraft buit by ICA at Brasov. Just I have to tell that if you saw it several times in part 1 and 2 ofAPI, it's becauses this kind of machine was my dream for flight. As other Pawnees, Ipanemas, Basants, Tauros, Kruks and Thrush Commanders, I forget some of them, it perfectly met my own requirements, a little weakness of mine, concerning flying: fly and navigate at very low altitude, preferably between trees and cows...!!! I'm alive, thank you very much, and sure to die for other unknown reasons, my flight hours being now behind me and definitively.